Are you a business owner, professional or entrepreneur? Gold Coast Business Week is here, providing an amazing opportunity to network and find out about emerging trends in the industry. 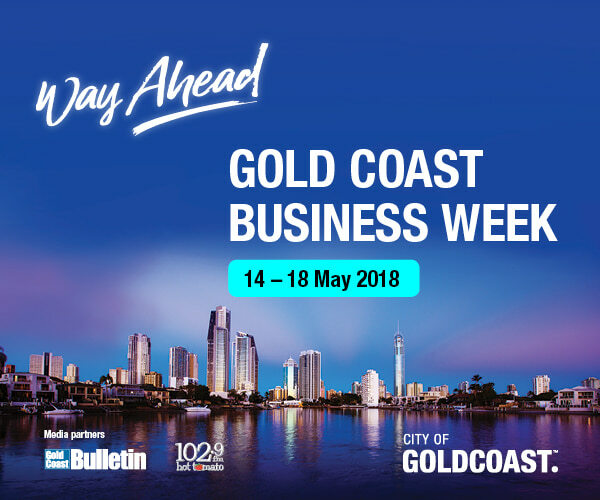 City of Gold Coast is proud to present Gold Coast Business Week, from 14 to 18 May 2018.
Business Week celebrates the legacy of Gold Coast 2018 Commonwealth Games and the way ahead for businesses in the digital age. The Gold Coast is a city brimming with confidence, opportunity and prosperity. Our economy is vibrant, investment is high and employment is strong. This Business Week, the City has partnered with Myriad – Australia’s Leading Innovation Festival – to gather the world’s most influential entrepreneurs and tech experts to ‘Gold Coast Way Ahead’, a networking forum for local businesses. There are 20 different events to attend, and most are free. Register to attend and be part of the way ahead for the Gold Coast.